There is an old chestnut, one of those widely circulated quotes of indeterminate origin that default to being attributed to Churchill, that 120th street is “the widest street in New York City.” The reference is to one stretch of 120th street — between Broadway and Amsterdam — that separates Teachers College from the main campus of Columbia University. Having done a hybrid degree (Philosophy and Education) that necessitated regularly crossing the street I found there to be more than a grain of truth to the purported cultural gap between the two campuses. The quote nicely captures the pejorative attitude of Columbia, whose administrative hub in the old Low Library still bears the classic division of the university between its four main faculties (Law, Philosophy, Medicine, and Theology), towards its school of education. There is an attendant defiance that looks back the other way, with arguments, perhaps put best by the brilliant historian of education Robbie McClintock in Homeless in the House of Intellect, that education has a rightful claim to representation among the established disciplinary culture on the main campus. The one program on both sides of the street that seemed exempt from all of this was the anthropology program. As Marx famously postulated, capital can’t abide a limit, and in an imperfectly analogous and less nefarious way, neither can the study of culture. I began to work with anthropologists on both sides of the street because that seemed to me where the best thinking was happening, in respect to both education and the broader philosophical questions that drew my interest. 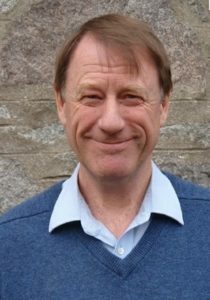 It is thus with great pleasure, as an outsider with deep admiration for anthropologists, that I present this interview with Tim Ingold, Emeritus Professor of Social Anthropology at the University of Aberdeen and a luminary in the field. He recently published Anthropology: Why it Matters, which looks back at key developments in the field, but is very much future oriented in setting some guiding priorities for the coming generation of anthropologists. As will become clear below, Ingold’s interests spread in many directions — from broadly epistemological questions of knowledge production, to thinking through materiality and everyday practices like walking, to educational questions, including those of the most practical sort in his work organizing a movement counteracting disastrous policies on his home campus. Despite recently moving into Emeritus status, Professor Ingold maintains a busy schedule of lecturing and writing, and he was generous enough to carve out some time to respond to questions over email. There is a deflationary account of anthropological “expertise” early on in Anthropology: Why it Matters. This reminds me a bit of the work of James Ferguson and James C. Scott. It strikes me (as a naive interloper in this debate) that expertise has a pernicious but persistent place in the public conception, if not the self-conception, of anthropologists. Can you say a bit about your choice to place this deflationary account so early in your book and more generally why so much hinges on this question of expertise? I believe anthropologists are, or should be, amateurs in the best sense of the word. For the amateur, study is a way of life, not a means to stage a career. It is study for the love of it, driven by a passion for learning, and for wisdom. In the field, far from the protection of the academy, largely at the mercy of their hosts, anthropologists are manifestly amateurs. They are novices in the lifeways they study. The problem comes on re-entry to the academic setting, in which they are expected not only to play the role of the professional scholar, but also to deliver up the fruits of their inquiries in the form of ‘anthropological knowledge’, to be published or otherwise disseminated. As expert knowledge-producers, they are supposed to present themselves as master-interpreters of other people’s lives, and to speak with authority on matters of culture. Many anthropologists are all too readily tempted by the rewards of doing just this, in terms of recognition and advancement in their academic careers. Who can blame them? It is hard to fight the system when you need a job. Yet fight we should, since its effects are indeed pernicious. What is special about anthropology, as I argue in my book, is that we go to study with people, and to learn from them, drawing them into a conversation about how to live that affects us all. This means treating what others tell us with the seriousness it deserves. But to turn this around, to treat what they tell for what it tells about them, betrays our purpose, and our responsibilities. More sinisterly, perhaps, it serves not to break down the walls of the academy but to reinforce them. After all, we study with our professors in order to learn from them, not to write them up. Why should it be any different beyond the academy? You tell the story of the anthropologist A. Irving Hallowell and his 1930s work with William Berens, Chief of the Berens River Anishinaabe. Hallowell was puzzled by the fact that stones were classed in the noun group of animate objects in the Ojibwa language, so he asked Berens, “Are all the stones we see about us here alive?”, to which Berens answered, “No! But some are.” This story is instructive for how you conceive of anthropology – a collective process of learning and dwelling as opposed to explicating and classifying – but also for something that is really central to your work, which is to pay close attention to the non-human, whether that be reindeer, or the environment and spaces in which people move and create (what you have called the “task-scape”). Can you talk a bit about practicing a kind of anthropology that de-centers the place of the human? I do think the practice of anthropology is all about learning to pay attention to things. It is in attending to them that we observe. And for the most part, our teachers are fellow humans. If we attend to the non-human, it is because they do too. In my fieldwork with Sami people, many years ago, I became obsessed with reindeer, but only because the people I was with were similarly obsessed. Likewise, Berens taught Hallowell to pay attention to stones. Paradoxically, perhaps, it is precisely because our studies are centred on what humans are telling us that we end up with an attention focused on the non-human. This kind of anthropology is precisely the reverse of the kind of approach that might be adopted, say, by a zoologist or geologist. They, too, play close-attention to non-humans, be they animals like reindeer, or rocks and stones. But they are more likely to bypass the teachings of those for whom reindeer and stones figure in their everyday lives. Studying the non-human, for them, means not drawing them into the human circle but stepping beyond it. Early in Anthropology: Why it Matters you discuss the areas of convergence (the question, “How should we live?”) and divergence (detachment as opposed to engagement) between philosophy and anthropology. There is a long history of interaction here, from Clifford Geertz’s appropriation of Gilbert Ryle’s “thick description” in The Interpretation of Cultures to Vena Das’ recent collection The Ground Between: Anthropologists Engage Philosophy. In what ways have you found the engagement with philosophy to be productive, and in what ways have you experienced the two disciplines talking past one another? I have a very ambivalent relation with philosophy. I feel that the questions we anthropologists are addressing are fundamentally philosophical ones. But most philosophical writings put me off. They are often turgid, arcane, obsessively attached to a ‘canon’ that means little to readers who have not been trained in it, and exceedingly ethnocentric. For an anthropological reader like myself, they often seem curiously out of touch with life. To demonstrate their arguments, philosophers are more likely to have resort to outlandish thought experiments than to real-world examples. Sometimes I worry that my own work is becoming too philosophical, and that I am losing my foothold in anthropology. But I have a reliable cure which immediately dispels any such doubts. All I have to do is read a philosophy book! The thing is that no work of philosophy ever speaks to me unless I have already found my way, intellectually, into the terrain it navigates. You have to know the country before you can read the map that philosophy offers. Then, and only then, might it take you to places you had not visited before. I think it would do us all a lot of good if we learned to be less deferential to philosophers. They are no more, but also no less confused than the rest of us. They may think deeply about things, but so do we all, and often with a good deal more experience to go on. Because of this experience, we can actually do better philosophy than the philosophers. Recently I read an interview with a philosopher who had just published a book in which he argued that philosophers would do well to pay more attention to traditions of thought outside the western canon. Otherwise, he said, these traditions would be left for the likes of anthropologists. The implied contempt for anthropology among philosophers is typical. But it is also an own goal. If philosophers were to swallow their arrogance and read some anthropology (as, to be fair, some do), they would discover that the job of attending comparatively to these other, non-western traditions has already been superbly accomplished, in anthropology, at a level far beyond the limited horizons of mainstream philosophy. I first came across your name not as an anthropologist, but as the public face of the Reclaiming our University movement at Aberdeen. People can read about the substance of the movement in a Manifesto that was published, but can you describe in more detail the context within which the movement formed and whether it has yielded notable achievements or instructive failures? The context was a collapse in morale across the University brought about by the introduction of a punitive, target-driven regime of micro-management that left everyone feeling bullied, insecure and fearful for the future. Similar things have been going on in universities throughout the UK, and indeed internationally, but the effects were particularly severe in the University of Aberdeen in part because, until only a few years previously, it had successfully held out against the tide of corporatisation, helped along by a relatively benign administrative regime. Indeed, the University was well-known for the genuine and prevailing sense of community that had been built up, over the years, among staff and students. But this was now felt to be under severe strain. We launched the movement with a big meeting, held off campus, in October 2015. Crucially, we insisted that it was not a movement of protest, but rather a constructive attempt to start an open conversation, across the community as a whole, about the kind of university we want, how we can achieve it, and how it should be run. After the initial flush of enthusiasm, the problem we faced was how to maintain and build the momentum, without which the movement would have soon petered out. We did this, with some measure of success, by holding a series of open seminars, pretty well attended, to thrash out the issues of freedom, trust, education and community, that would later become the cornerstones of our manifesto. Nevertheless, it was a challenge to achieve ‘buy-in’ from across the University, especially from schools of science, engineering and medicine. It was not that the problems were any less acute in these schools, but their staff and students tended to be more compliant. Our manifesto, I think, was a considerable achievement. As a statement of principle, I know of no other document quite like it, and it has garnered a great deal of attention from around the world. But it has also attracted some criticism for being overly idealistic, and insufficiently focused on political and economic realities. And it is true that once having launched the manifesto, we were a bit stuck as to what to do next. Despite a groundswell of support, our attempt to have the manifesto formally adopted by the Senate, as a set of guiding principles for the future development of the University, was defeated through a concerted and rather ugly campaign of subversion launched by a management that was – in truth – scared out of its wits. But though we might have lost the battle, we actually won the war. Our achievement, firstly, was to transform the atmosphere around the place. The change was palpable: though conditions were still challenging, we dared once again to hope, and to dream. From having hit rock bottom, morale recovered. Colleagues who had felt isolated and devalued discovered that they were not alone, and that together, they could fight back. Secondly, within a year of the publication of the manifesto, both the Principal and Vice-Principal of the University had been forced to resign. Both have now been replaced, and the new incumbents are at least nominally signed up to the principles of the manifesto. Though we cannot afford to be complacent, the immediate objectives of the Reclaiming movement have been successfully achieved, and the movement itself has been temporarily mothballed. In hindsight, one thing we did learn is that it is no good waiting for people in high places, so-called ‘movers and shakers’, to take the initiative in reforming our universities. Despite much earnest rhetoric over the years, they have done absolutely nothing, and appear clueless about what to do. The only way forward is for staff and students to do it themselves, from the ‘bottom up’, and in a way that is responsive to local circumstances. In many universities the Anthropology department will tenuously hold together different ways that the discipline is practiced and understood – archaeology, social or cultural anthropology, physical anthropology, linguistic anthropology, and a growing set of applied subfields (e.g. museum anthropology). For decades you have been quite adamant in saying that these are all, as you have put it, “part of the same intellectual enterprise.” However, the politics of higher education, with its push towards specialization, poses significant challenges to this integrative view. What are some constructive ways that you have found to practice and advocate this unified view of anthropology against some of the fracturing pressures that fall on the discipline? The politics of higher education are driven by a strategy of divide and rule. First, split people up into narrow specialisms, and then accuse them of being so wrapped up in their own disciplinary silos that they need to submit to managerial plans to subsume these specialisms under larger administrative portfolios. My own view of anthropology, however, is that, as a discipline, it is profoundly anti-disciplinary. That is to say, it is a revolt against the assumption that disciplines are bounded fields of knowledge that can only communicate with one another via some kind of bridging operation. Anthropology has never been bounded in that sense. It is not a field of knowledge but a convergence of what I have called ‘lines of interest’, which tangle not only with one another but also with similar lines emanating from other disciplinary conversations. In my own work, I find that I am continually getting tangled up with such conversations. I enjoy living like a buccaneer on the high seas of scholarship, raiding other ships for whatever of interest they may be carrying. It can be challenging, but the potential rewards are immense. Over the course of your career you have stepped back from your own teaching and research to take stock of the discipline – contributing to encyclopedias of anthropology, editing and framing a collection of Key Debates, and now making the case to a non-specialist audience of what anthropology is and why it matters. Has your thinking about these kinds of projects changed significantly over the years? Well, my anthropological thinking has certainly changed, a lot, but I’m not sure that I’ve changed my thinking about these kinds of projects. I have always held three principles paramount. First, in presenting anthropology to a wider public, we should strive for accessibility, but not for popularity. Popular writing panders to, and plays on, the prejudices of its readers; anthropology’s job is to challenge them. But that challenge should be presented honestly and plainly, and not hedged around with arcane verbosity; nor should it shut readers out by assuming their familiarity with literature that they cannot possibly be expected to have studied. Secondly, we should not present a false picture of anthropology as a discipline that has already fulfilled its calling; much more important is to bring out the imperfections, and to show how much more has still to be done. And thirdly – related to this – we should write in such a way that readers can join with us in our endeavours. It is like admitting them into the building site, rather than opening to the public only when the work is complete. I’m really drawn to your work on walking (I am, and come from a long line of inveterate walkers). It seems of a part with your focus on movement, lines, and imagination. Was it easy to develop a language for working on these ubiquitous features of life that are usually overlooked for their mundaneness? Were you able to find models in more traditional topics of anthropological research, or, to take up the walking theme, did you have to cut your own path? I found rather little from anthropological literature; only hints here and there, usually dropped in passing while its authors were concentrating on other things. But that doesn’t mean I had to start from scratch, as I have found inspiration from a wide range of sources in an equally eclectic range of disciplines. For me the great thing about anthropology – and the reason I remain an anthropologist – lies in this freedom that it grants its practitioners to roam intellectually. Other disciplines in the arts, humanities and social sciences are far more constrained. You talked about a breakthrough in your own thinking in 1988, when you were finally able to break down the bifurcation of the human into nature and society. I wonder if you’ve thought about whether the “artificial” is going to set up another bifurcation of the world, and what hinges on not letting that also ossify into some kind of rigid boundary. I suppose you are referring here to the popular debates and hyperbolic speculation currently surrounding the idea of artificial intelligence (AI). This is a topic I prefer to avoid, along with anything to do with the ‘digital’. As an inveterate technophobe, I want to have as little to do with the digital as possible. I don’t like it, and I don’t understand it. I think it is dehumanising. And I can’t stand all the hype in which it is enveloped. The whole AI business, it seems to me, is built upon a faulty notion of intelligence – one that views it in purely cognitive, information-processing terms. For me there can be no intelligence which is not grounded in the perception and action of living beings, moving around in and perceiving their environments as they go. It is where perception and imagination meet.